Bloodstone (also known as Heliotrope) is an opaque variety of chalcedony that is dark green with red spots/streaks in color, sometimes with additional yellow spots. The red spots in this stone are said to be the spots of Christ's blood, making Bloodstone revered over the ages. It is primarily found in India, China, Brazil, Australia, and USA. The vibration that Bloodstone gives off is that of courage and purification. This stone is a powerful purifier, helping to clear the auric field and bring one's subtle energies together into wholeness and balance. This acts without as it does within, since it clears and boosts the inner spiritual body, the same effects will follow for the outer physical body. 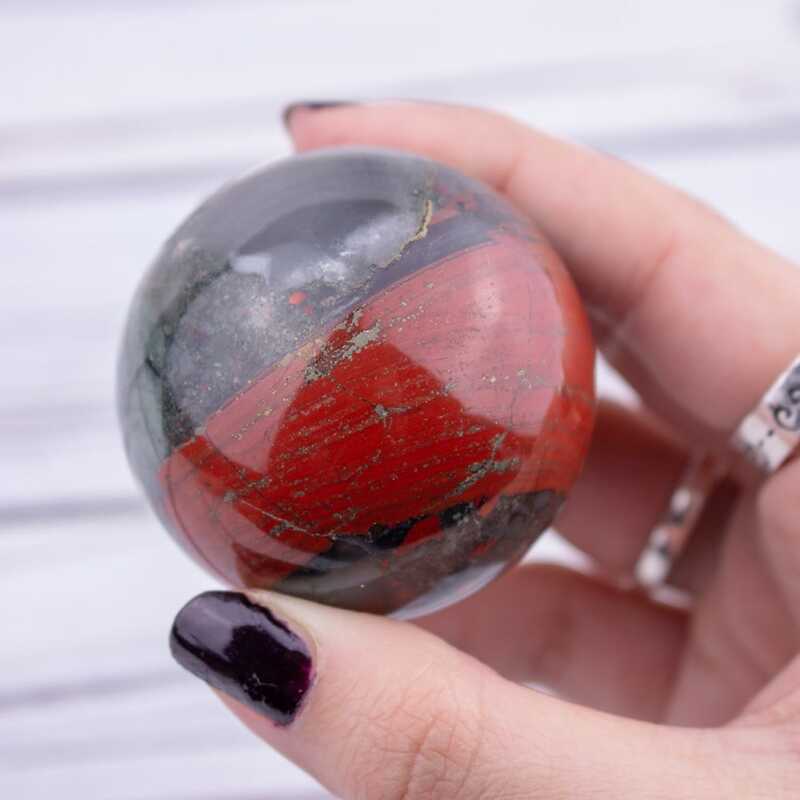 Bloodstone's stimulation of the root chakra is apparent in its ability to ground one fully in the body, which is of great assistance to those who may struggle to ground themselves. This also brings about an enhancement of one's courage, strength and determination, giving one an empowered zest for life and physcial endurance. It is of great assistance in new beginnings in which one needs to start fresh or proceed forward on a new path. Bloodstone offers up the courage to move on despite any drawbacks, and provide the strength to follow through without giving up. Emotionally, Bloodstone aids one in facing all kinds of illness and mortality itself. It also activates the highest traits of altruism, projecting an aura of noble sacrifice and solace (as resembled through Christ). Physically, this stone connects directly with the blood. It purifies it and aids in the general detoxification and healing of the liver and endocrine. 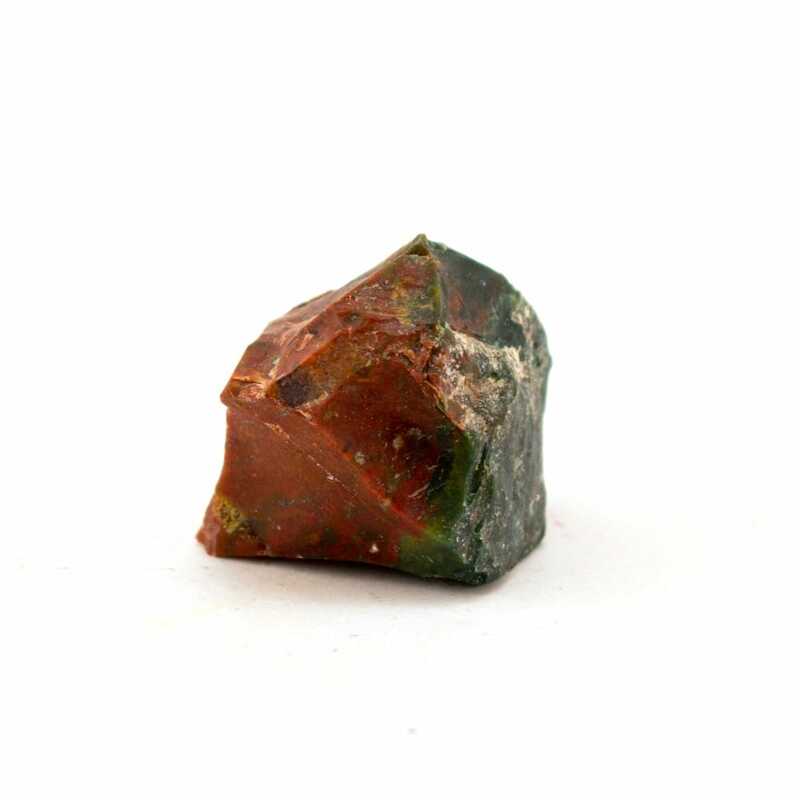 Bloodstone strongly resonates with the energies of Mars, which is apparent in its connection to the blood and physical powers. 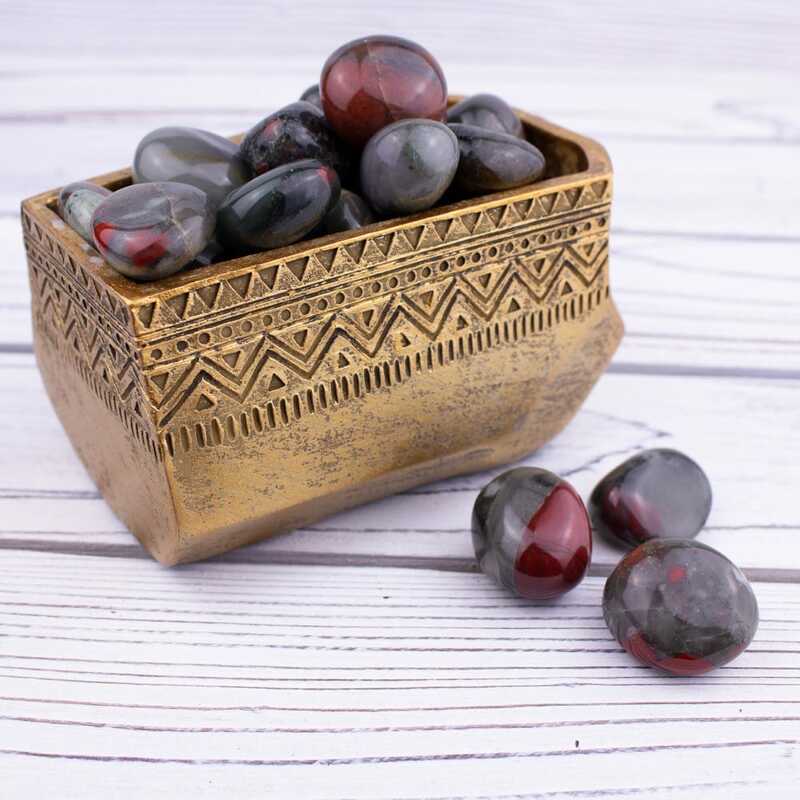 It can help one to awaken the warrior energies within oneself, but also the ability to control them through Bloodstone's vibrations of nobility and earthly grounding. This makes it an excellent stone for those under the Zodiac sign of Aries and can help them to develop a peaceful relationship with the fire inside of them. Bloodstone is the timber that keeps the fire inside staying kindled, but also prevent any "out of control" outbursts of it. Bloodstone is also very beneficial to any Pisces as it awakens them to the inner courage and determiniation they often struggle with. It also enhances their innate selflessness and ability to provide solace to others. Librans also greatly benefit from this stone as it can aid them in finding the inner and outer balance they seek. Bloodstone is also an excellent aid in being more decisive, something that a Libra may struggle with. This crystal helps us to easily see the truth in certain situations, and provides the courage to follow through with one decision.